Abuelo’s Mexican Restaurant offers patrons a one-of-a-kind experience with its menu offering; traditional, authentic Mexican dishes made from scratch using fresh ingredients. Whether for Lunch or Dinner, guests can be assured that the pico de gallo, guacamole and salsa were made fresh that day. Each Abuelo location invites guests into an open-air courtyard concept to experience the art and culture of Mexico in a casual setting. That said, this ambiance comes a bit of a price. If you’re comparing Abuelo’s to your local Tex-Mex joint you might be disappointed with the prices, but overall the entree’s are reasonably priced. Below are the latest Abuelo’s menu prices. Each lunch entrée below is a meal in itself and does not include sides. What can be better than free food? By joining the Mi Abuelo rewards program, guests can earn points towards free food, gift cards, and other special offers. Signing up takes only a few minutes and guests will be rewarded just for participating. Don’t delay! Head over to the official Abuelo website to learn more. What better way to spice up the gift-giving tradition than to offer the authentic flavor of Mexico. Abuelo’s gift cards are a cinch to buy and wrap. You can order gift cards online or purchase at each location. Whether counting calories or on a restricted diet, Abuelo’s offers their customers nutritional information of their menu items. Guests can view the nutritional info on the website or print it before visiting a location. Who doesn’t like a Mexican fiesta? Now fans can have their social gathering or corporate function catered by Abuelo’s. Guests should contact their closest store to ensure that that catering services are offered by that Abuelo’s location. The Abuelo’s organization believes in giving back to the people and community in which it operates. Abuelo’s supports organizations that help children, the military, and education. Guests should contact their local Abuelo’s location for sponsorship or donation requests. Looking for a HOT career? Abuelo’s is always looking for new team members to join. Growth & development opportunities, a friendly & supportive staff, and a competitive wage & benefits package are just a few perks of the job. To learn more and search open opportunities, just click the link at the bottom of the page. In 1989, the very first Abuelo’s Mexican restaurant opened in Amarillo, Texas. The theme restaurant was a long-time dream project of three close friends, James Young, Dirk Rambo, and Chuck Anderson. As soon as its doors opened to welcome the public, guests could not get enough. 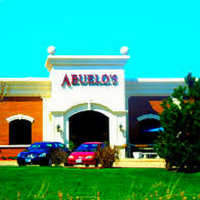 After more than 25 years in business, Abuelo’s boasts of 39 restaurants situated in 13 states all over the country. With still more stores to open in the future, it is clear that the restaurant’s founders gained more success than they had ever dreamed of. For more information on this restaurant, visit their official website.